The last earring pair is done! 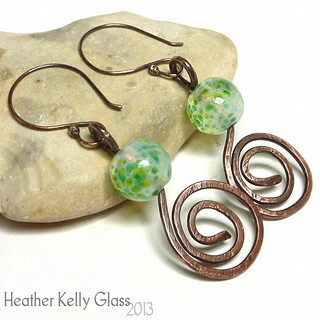 Copper wire-wrapping with two of my lampwork cylinder beads in green-blue with dark brownish gold frit, little hollow copper round beads at the top, and turquoise dangles that are not quite heart-shaped. A very bright combination this time! 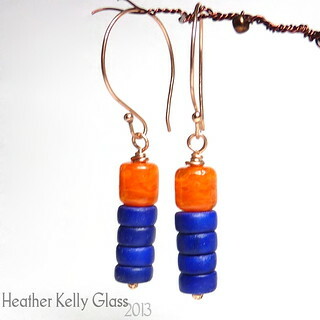 I paired my bright orange swily lampwork cylinders with wooden discs painted a deep lapis or cobalt blue. 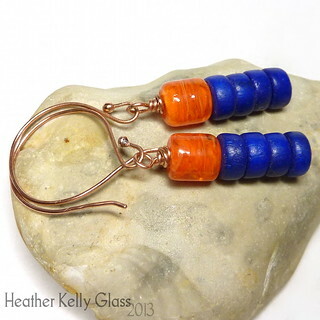 They’re wire-wrapped onto large rounded copper earwires. This pair use a few components from the Mini Mojo Box I got from Lynn. (I wrote about it for the Craft Pimp blog). 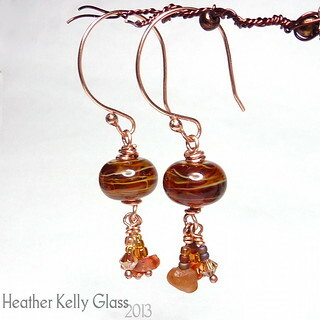 The swirly amber brown lampwork beads are mine. 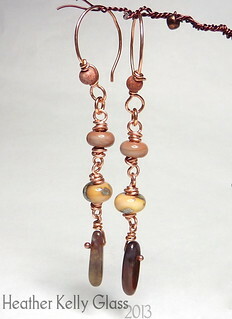 The little dangles use beads from the mojo box – I took out a few carnelian chips, little Swarovski crystals and some of the seed bead mix, and wired them onto small copper headpins. 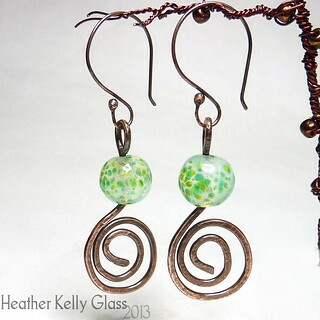 I wire-wrapped the beads and made the round earwires with larger-than-usual hoops. 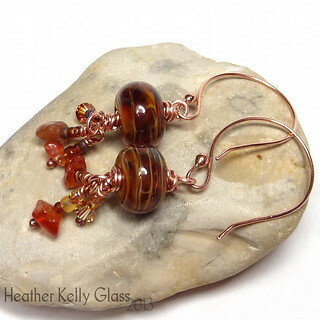 This pair are copper and warm browns. 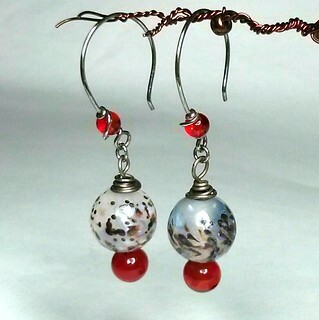 The rounded earwires have a little leopardskin jasper round wrapped onto them, and the dangle has two of my lampwork spacers, one terracotta, one cream with silver leaf, plus an Indian agate long nugget bead at the bottom. 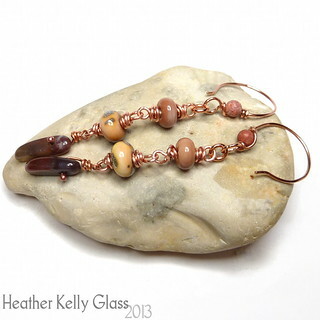 All wire-wrapped in copper. 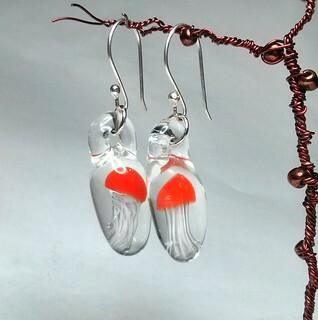 A pair of orange borosilicate jellyfish earrings this week. My main computer is away for repair so this is a phone pic, excuse colour cast!